Once upon a time, artists had to go to a major city if they had any hopes for discovery—and even then chances were slim. But those were the halcyon days of galleries, when art collectors, wealthy individuals, and everyday aesthetes would buy pieces straight off the walls and, if you did get picked up, you were golden. Like everything, the art world has been disrupted by technology. On the one side, digital connectivity has made it easier for artists to work remotely and sell their work worldwide with an online portfolio. And on the other, recognition can be even harder when you are lost in a digital sea of millions. 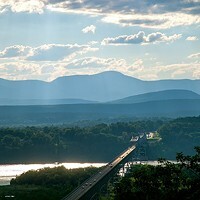 Luckily, the Hudson Valley has managed to nurture a thriving art scene—from Dia: Beacon which displays the work of Contemporary titans to the slew of Main Street galleries in every small town from Gardiner to Hudson showing the work of local artists. Here are seven contemporary local artists to watch out for, shared by local gallerists, in their own words. 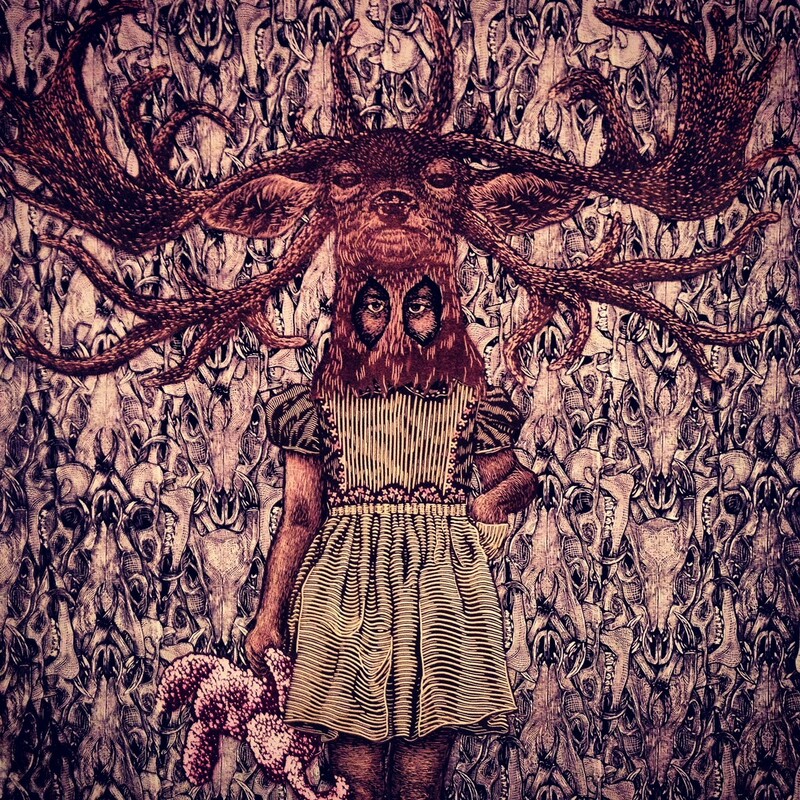 Melissa Schlobohm is an extremely interesting artist and printmaker. Her work is gorgeous, obviously laborious and already masterful and prolific, but it's in the presentation of her work where the magic truly happens. Melissa takes the traditional medium of linoleum and woodcut prints to a whole other level by cutting out her intricately carved figures, presenting them in the form of installation work. Fanned out like a deck of cards, hung from filament suspended in mid-air, or covering entire rooms, her creatures tell stories beyond a simple image on paper. They are alive and haunting and imbued with otherworldly power. Kyle Cottier is about 25 years old and is making great work. He's in the current exhibition "Time Travelers" at the Dorsky Museum, on display through November 11. I met him in January 2017 when he was involved with the Dia Staff show hosted by Matteawan Gallery. Cottier’s work exposes the patterns shared by the natural and human worlds and calls attention to the relationship of our bodies to our environment. 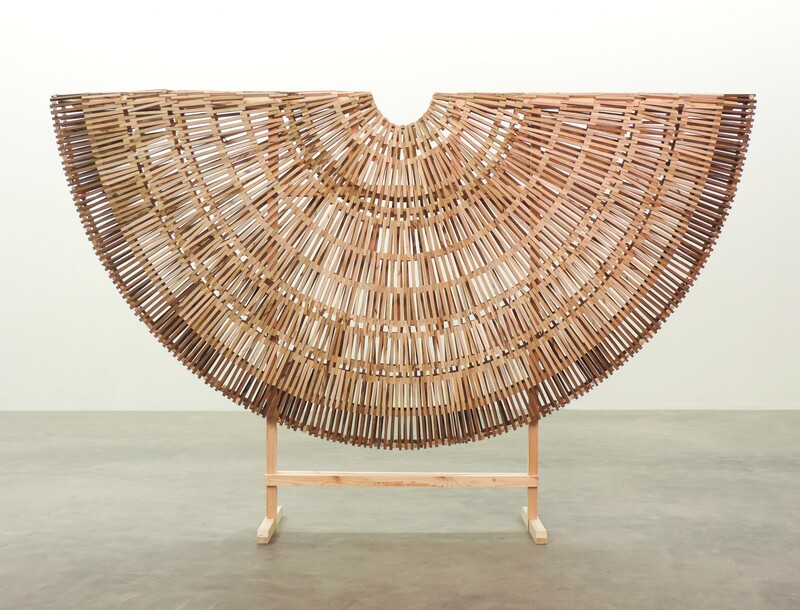 His recent sculptures are composed of reclaimed wood cut into small sticks that are connected with rope in a labor-intensive, meditative process akin to weaving. *The high level of craftsmanship and multi-layered subject matter in his work are very advanced for a young artist. Kyle was born in Louisville, Kentucky, and received a BFA from the Art Academy of Cincinnati. He currently lives in Newburgh, NY. My choice for my choice for artist to watch is Alexis Elton. Following seven years in rural New Mexico pursuing an art practice that included "farming, sculpting with landscape elements, and extracting... aromatic waters from soil, animals, and plants to convey a sense of place through smell," Alexis Elton has returned home to the Hudson Valley. "Intrigued by the life cycle of dirt," she "works the soil by hand to understand the earth as ever changing." On the farm in New Mexico, "living and working became her art." Back here in the Valley, Alexis is continuing to work with scent and soil creating participatory events engaging others in our shared natural world. Cody Rounds is a contemporary visual artist whose work explores perception and identity through video, projection and performance. By combining existential explorations with technological mediums, she produces work that accentuates the coexistence of parallel realities through the lens of conscious identity and subjective experience. Cody Rounds has studied art in both the United States and France, and is currently based in the Hudson Valley. In 2017, she received a Pollock-Krasner Fellowship through the Under-Recognized Artists Award facilitated by Arts MidHudson, using the funds to research indigenous spiritual artforms in the Amazon Rainforest. Paralleling her artistic practice, Rounds co-founded and continues to direct and curate DUSKLIT: Interactive Art Bazaar with her partner Olivia Baldwin. 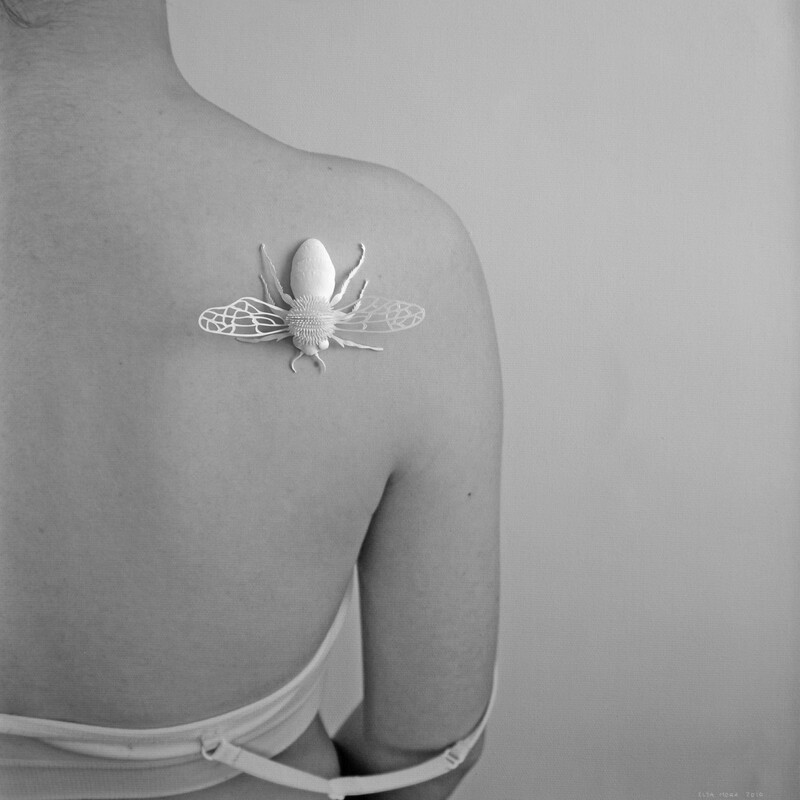 Mount Tremper artist Elsa Mora looks at a piece of plain paper and sees an intricate insect, a delicate piece of lace, a sea creature. While also a photographer, she expands the two-dimensional plane, scratches into the surface, embellishes with paper, thread or other objects to create playful narratives. The resulting images are emotional and tender, arresting and whimsical in their expression of creativity, joy and passion. 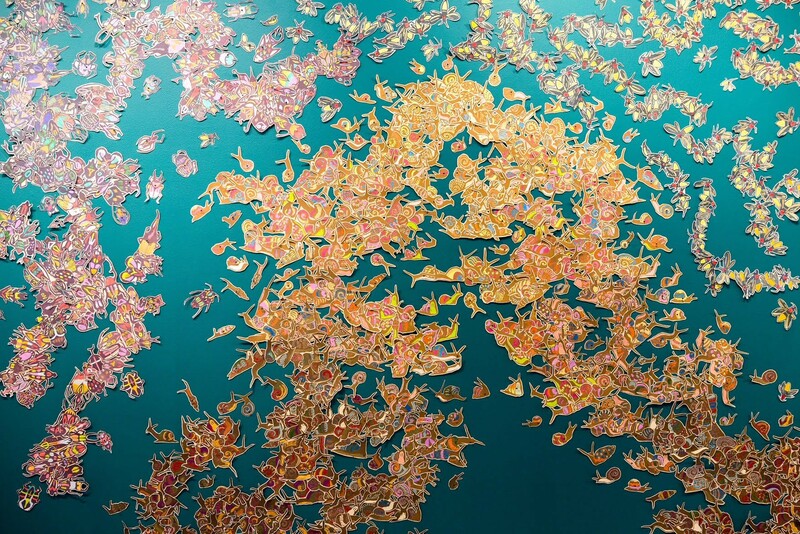 Her repertoire of media now includes photography, paper, animation, porcelain, drawing, paintings and more. The magic happens as soon as she sets her heart on it. The results are nothing short of stunning. We would love to recommend Poughkeepsie-based artist Carl Grauer. A native of rural Kansas, Grauer is perhaps best known for his portraiture and paintings of the human figure. Recollections is a series of nostalgic figurative paintings that trace scenes from childhood and a general fading memory of the “American Dream”. But it was a recent painting of an altarpiece of Judy Garland as Dorothy from The Wizard of Oz that granted him two artist residencies in the summer of 2018. 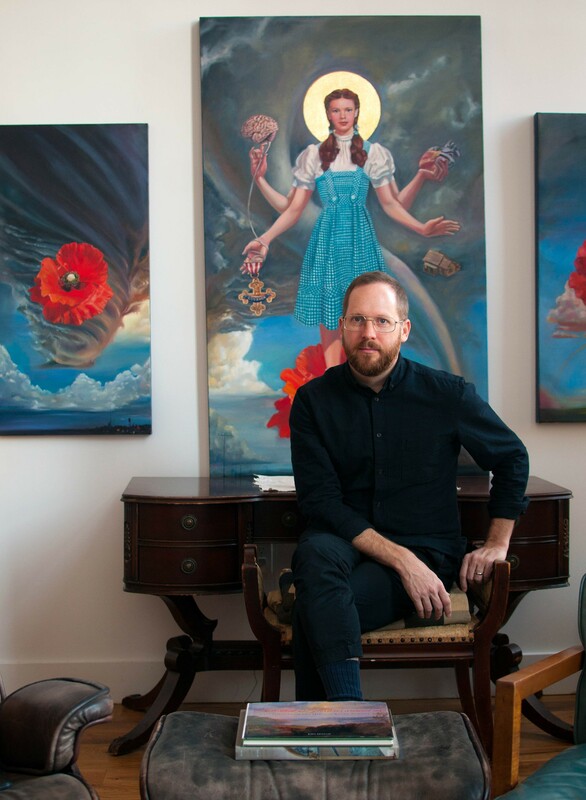 His goal is to develop a series of historical and surrealist paintings that honor and ‘sanctify’ the activists who helped the LGBTQ movement advance the level of equality and acceptance shared today. Look out for the complete series in Spring 2019. Sienna Martz, Inner Prik, 31" x 19"
Sienna Martz is a fiber artist whose work we are extremely confident in. Her work attempts to examine man’s intrusion on biological structures, plasticity, and morphology through soft sculpture installations and wearable designs. 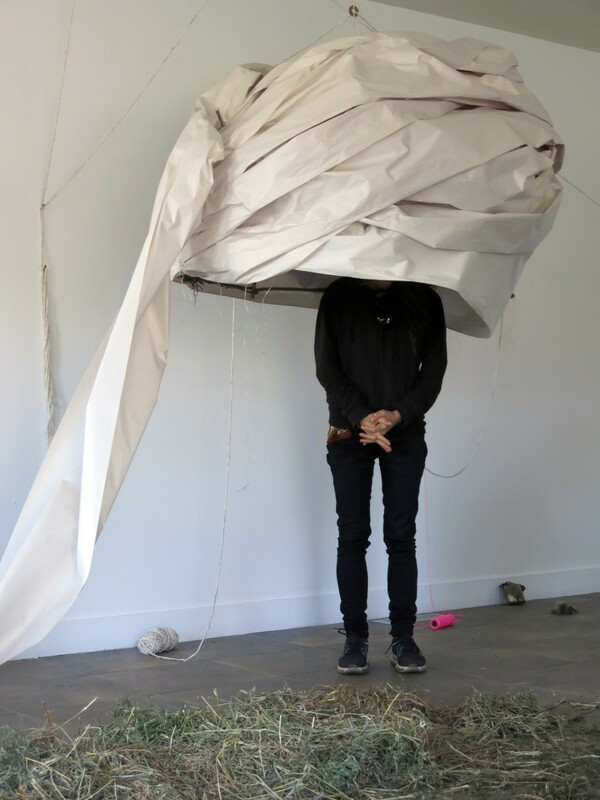 Her work is built upon time intensive processes to form an interaction between the body and non-native materials, parasitic procreation, and the invasion of a space, material, and the human body.